The curriculum of each department is designed so that students can study both their specialized fields and information technology in a balanced and interconnected way, and receive an education that has a consistent flow through to graduate school. These departments offer extensive opportunities for practice and experiments, and emphasize allowing students to acquire a wide spectrum of understanding about society and ability with foreign languages. Students will go beyond simple mathematics, natural sciences, languages and liberal arts subjects to study information technology in a systematic manner. Basic subjects common to all the departments cover basic theory, programming, and computer architecture. All departments offer the two subjects of mathematics and information science for students obtaining a high school teacher’s license. Information engineering is one of the fundamental subjects of modern engineering. 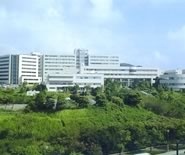 The School of Computer Science and Systems Engineering in Kyutech was the first in Japan to build a course around this idea, and has made steady progress in tandem with the shift to an information-oriented society over the past three decades. 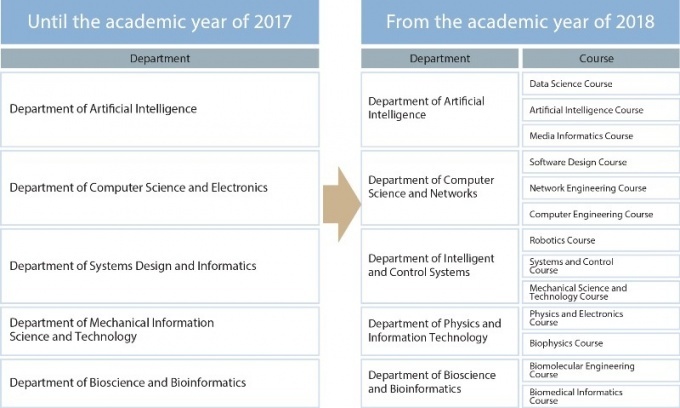 The faculty for information-related subjects consists of specialists who have been involved with research activities in the fields of information engineering and information science, as well as those combined with information engineering. They are specialists who have the viewpoint of generalists, whose perspectives come from knowing the value of academic rigor rather than from simply following the latest trends. Specialized fields in each department are firmly based on this modern engineering knowledge. Students can learn real practical skills, not just incidental knowledge. While keeping the tradition of a focus on the practical science and manufacturing subjects that has been maintained since the university’s establishment, the curricula include numerous opportunities for experiments and exercises. Although information processing technology based on computers and information tends to be virtual, students at the School of Computer Science and Systems Engineering can study not only fundamental technology but also cuttingedge technologies, while experiencing, through the production of simple computers, experimental fabrication of microchips (Center for Microelectronic Systems) and exercises in manufacturing production technology (Advanced Mold and Die Technology Center). Engineers should be able to fully use their knowledge and skills they have learned. It is also important to cultivate research and communication skills, and to develop the skills needed to solve the problems in front of them. Each department has introduced advanced methods in exercise and laboratory programs such as innovative creation training, PBL (Problem-based Learning), self-education study and team study. In a time when educational and social systems are dramatically changing, what ensures the value of education at a university? The Japan Accreditation Board for Engineering Education (JABEE) provides a special accreditation system where an external organization evaluates the educational system and the quality of education at a university, and grants accreditation if it meets the quality standards required by society. All the departments in the School of Computer Science and Systems Engineering were assessed by JABEE. Our aggressive education initiatives were highly evaluated, and all the departments were accredited school-wide, which was the first in the nation. As a result, graduates of the school are exempted from the first examination for Professional Engineer, and can obtain a qualification to apply for an Associate Professional Engineer upon graduation. Professional Engineer and Associate Professional Engineer are titles for experts who can consult in the fields of science and technology. As graduates of other universities of science and engineering can be exempted from only some of the examination subjects, the difference is starkly clear. The departments and the courses were reorganized as follows.